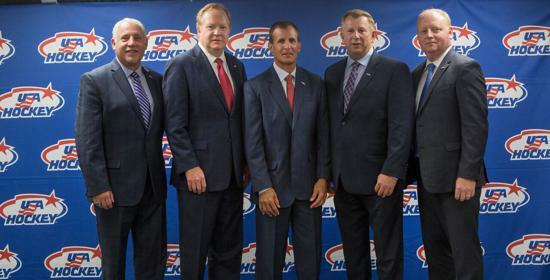 COLORADO SPRINGS, Colo. — USA Hockey today named the management and coaching staff for the 2018 U.S. Olympic Men’s Ice Hockey Team. 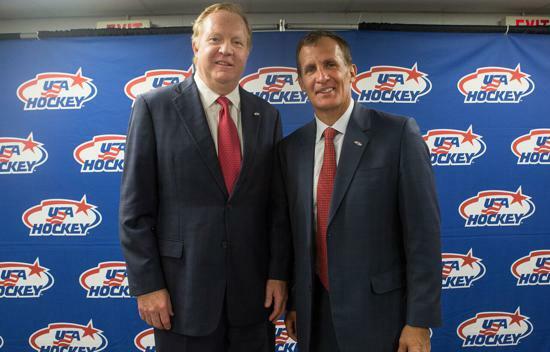 On the management side, Jim Johannson (Colorado Springs, Colo.), assistant executive director of hockey operations for USA Hockey, has been named general manager, while Ben Smith (Gloucester, Mass.) 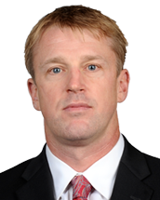 will serve as director of player personnel. 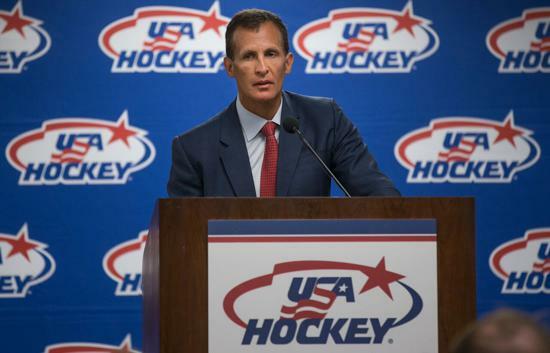 USA Hockey also named Tony Granato (Downers Grove, Ill.), head coach of the University of Wisconsin men’s ice hockey team, as head coach of Team USA. 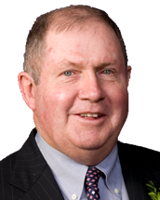 Joining Granato behind the bench will be assistant coaches Keith Allain (Worcester, Mass. ), Chris Chelios (Chicago, Ill.); Ron Rolston (Fenton, Mich.) and Scott Young (Clinton, Mass.). 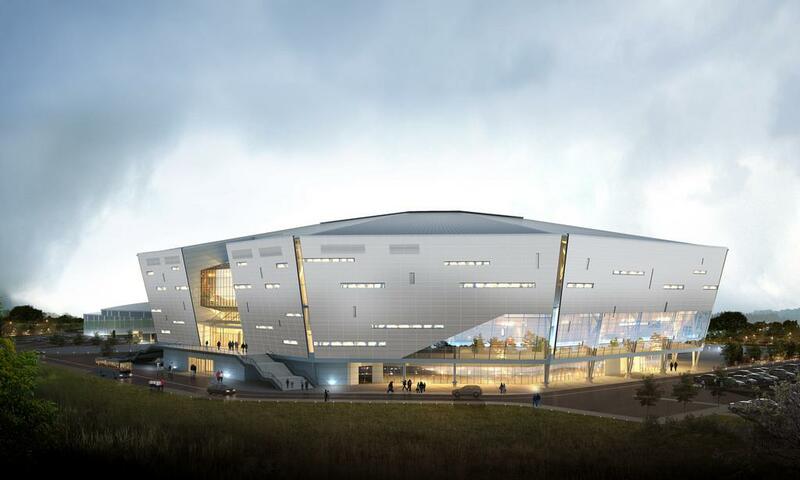 “The experience, passion and success our management and coaching staff have between them ensure that we’ll have a team well prepared to win gold in PyeongChang,” said Pat Kelleher, executive director of USA Hockey. 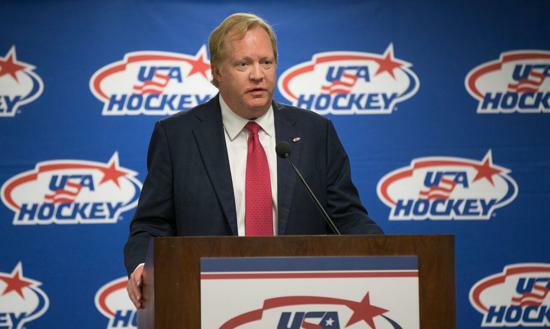 ABOUT JIM JOHANNSON: Johannson, who has a long history in the Olympics both on the management side and as a player, will be serving as the general manager of the U.S. Olympic Men’s Ice Hockey Team for the first time. Overall, he has made six appearances with a U.S. Olympic Men’s Ice Hockey Team, including twice as a player (1988, 1992), once as team leader (2002) and three times in management (2006, 2010, 2014). 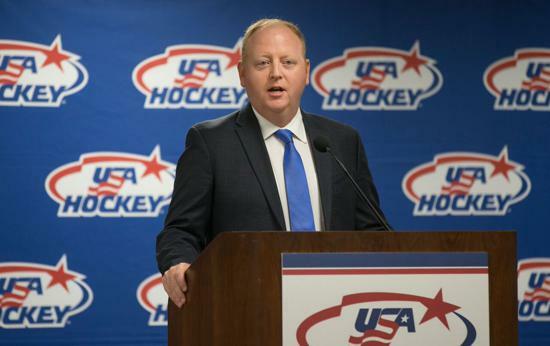 Johannson is also serving his ninth consecutive year as general manager of the U.S. National Junior Team after leading Team USA to a gold medal finish last year, its third under his management (2010, 2013). 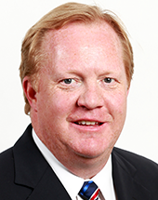 A full-time member of the USA Hockey staff since 2000, Johannson currently serves as the organization's assistant executive director of hockey operations. ABOUT BEN SMITH: Smith is serving as the director of player personnel for the U.S. Olympic Men’s Ice Hockey Team for the first time. 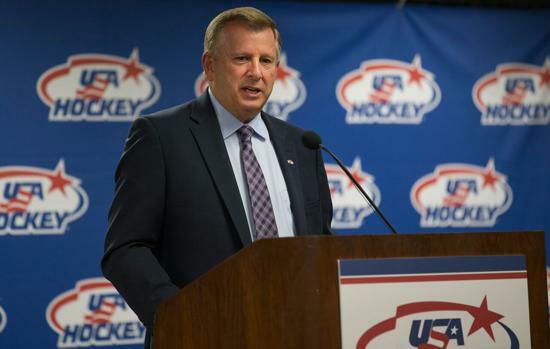 He has been part of four U.S. Olympic coaching staffs in his career, including three times as head coach of the U.S. Olympic Women’s Ice Hockey Team (1998, 2002, 2006) and once as assistant coach of the U.S. Olympic Men’s Ice Hockey Team (1988). Smith, who led Team USA to the first-ever gold medal in women’s hockey at the 1998 Olympic Winter Games, is widely involved in player evaluation for USA Hockey international teams, including the gold medal-winning 2017 U.S. National Junior Team. A 2016 IIHF Hall of Fame inductee, Smith will be inducted into the U.S. Hockey Hall of Fame as a member of the Class of 2017 later this year. He was enshrined in the Hall in 2009 as a member of the 1998 U.S. Olympic Women's Ice Hockey Team. 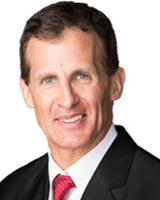 ABOUT TONY GRANATO: While Granato is the head coach of the U.S. Olympic Men’s Ice Hockey Team for the first time, he is no stranger to international competition. The Downers Grove, Illinois, native was an assistant coach for the 2014 U.S. Olympic Hockey Team and played for the U.S. in seven international competitions, including the 1988 Olympic Winter Games, the 1991 Canada Cup, three IIHF Men’s World Championships (1985, 1986, 1987) and two IIHF World Junior Championships (1983, 1984). 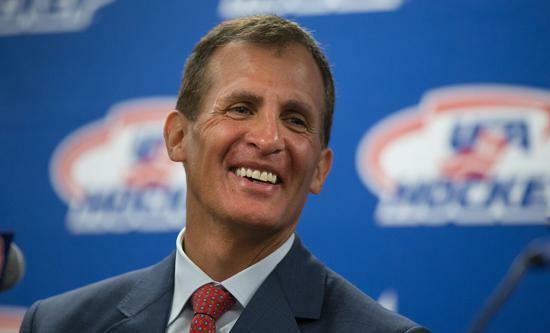 Currently the head men’s ice hockey coach at his alma mater, the University of Wisconsin, Granato spent 13 seasons as either a head coach or assistant coach in the NHL, a year after retiring from a 13-year NHL playing career. A four-time 30-goal scorer in the NHL, he skated for the N.Y. Rangers (1988-90), L.A. Kings (1990-96) and San Jose Sharks (1996-01), before coaching with the Colorado Avalanche (2002-2009), Pittsburgh Penguins (2009-14) and Detroit Red Wings (2014-16). ABOUT KEITH ALLAIN: Allain is returning as a U.S. Olympic Men’s Ice Hockey Team assistant coach for the third time after serving in the same role at the 1992 and 2006 Olympic Winter Games. A three-time head coach for the U.S. National Junior Team (2001, 2002, 2011), he also served as an assistant coach on the 1996 World Cup of Hockey championship team, as well as two U.S. Men’s National Teams (2005, 2006). Allain is currently the head coach of the men’s ice hockey team at Yale University, where he led his alma mater to its first-ever NCAA national championship in 2013. 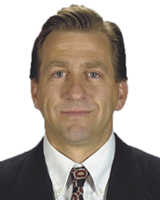 Prior to joining the Bulldogs in 2006, Allain was an assistant coach in the NHL with the Washington Capitals from 1993–1997, and the goaltending coach for the St. Louis Blues from 1998-2006. Allain was inducted into the U.S. Hockey Hall of Fame in 2016 as a member of the 1996 World Cup of Hockey Team. 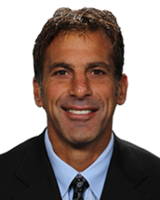 ABOUT CHRIS CHELIOS: Chelios, a four-time Olympian as a player, is serving as an assistant coach for the U.S. Olympic Men’s Ice Hockey Team for the first time. The Hockey Hall of Famer previously served as an assistant coach for the bronze medal-winning 2016 U.S. National Junior Team. Most recently, Chelios was an assistant coach for the Detroit Red Wings in 2015-2016 after spending five seasons as an advisor to the Red Wings management staff. In addition to playing for Team USA at the Olympics in 1984, 1988, 2002 and 2006, Chelios also competed for the U.S. in three Canada Cups (1984, 1987, 1991), two World Cups of Hockey (1996, 2004) and once at the World Junior Championship (1982). Chelios, a three-time Stanley Cup champion, holds the record for playing the most games by a defenseman in NHL history (1,651), after completing 26 seasons in the NHL. ABOUT RON ROLSTON: Rolston will mark his first appearance as an assistant coach for the U.S. Olympic Men’s Ice Hockey Team. He previously served seven seasons as a head coach at USA Hockey’s National Development Team (2004-2011), a stint that included guiding the U.S. to three gold medals (2005, 2009, 2011) and one silver medal (2007) at the International Ice Hockey Federation Under-18 Men’s World Championship. 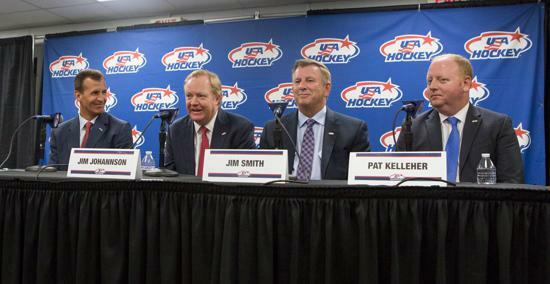 As head coach, he also led the U.S. to the bronze medal at the 2007 IIHF World Junior Championship. Rolston most recently served as head coach of the Springfield Falcons from 2015-16, the former AHL affiliate of the Arizona Coyotes. 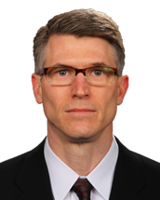 Prior to joining the Falcons, Rolston was head coach of the Buffalo Sabres during the 2012-13 and 2013-14 seasons, and also served for two years as head coach of the Sabres AHL affiliate, the Rochester Americans (2011-2013). ABOUT SCOTT YOUNG: Young, a three-time Olympian as a player, is serving as an assistant coach for the U.S. Olympic Men’s Ice Hockey Team for the first time. Young was named director of player development for the Pittsburgh Penguins last Friday (July 28) after serving on the coaching staff of his alma mater, Boston University, since 2014 where he began as the director of hockey operations before moving behind the bench as an assistant coach the last two seasons. Internationally, Young represented the United States on 10 occasions. In addition to his three Olympic appearances (1988, 1992, 2002), he has also played for Team USA in three World Junior Championships (1985, 1986, 1987), three World Championships (1987, 1989, 1994) and one World Cup (1996). Young, who played 17 seasons in the NHL with seven different franchises, will be inducted into the U.S. Hockey Hall of Fame later this year.